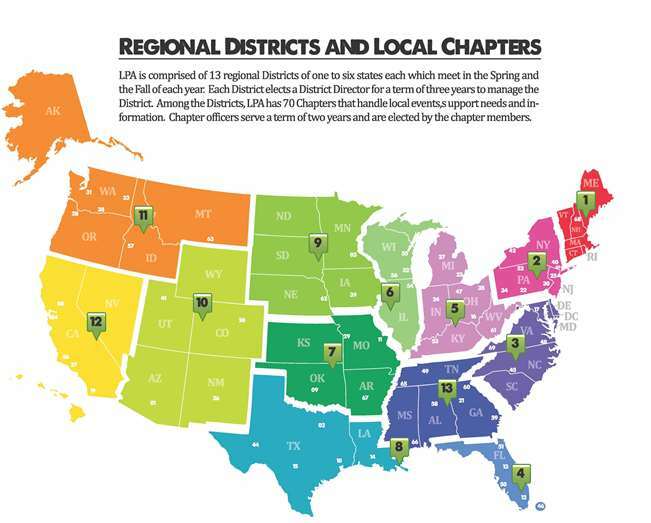 LPA is comprised of 13 Districts and 70 Chapters. Districts are made of one to five states. 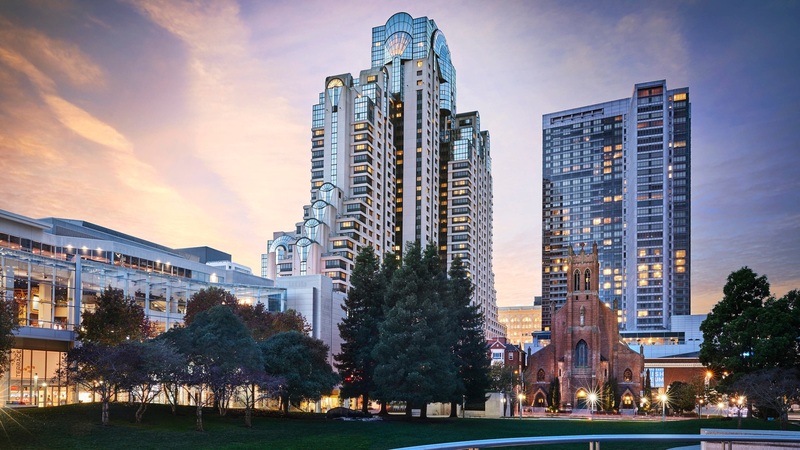 Chapters are more locally based and are comprised of an area of the state or county. You are sure to have a local contact near you. District Meetings occur one to two times per year (Spring and Fall). Chapter events may occur at any time throughout the year. To get started in your area click one of the states below to find your local contacts. You will have a chapter president - someone who should be fairly local, and a District Director. Your District Director may be in the next state, but never-the-less is important for you to know for many reasons, including District run programs, scholarships and referrals.